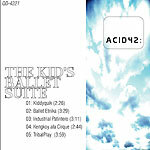 In 2004, Lionel Valdellon (Acid42) was contracted to produce some cheerful ethnic tunes for a childrens’ ballet recital based on the concept: Filipino children’s games. The tenth Perry Sevidal Ballet Recital was held on June 3, 2004 at the Cultural Center Of the Philippines and 3 of these 5 tunes were used in fun dance numbers involving cans, slippers, jumpropes, and even karate. 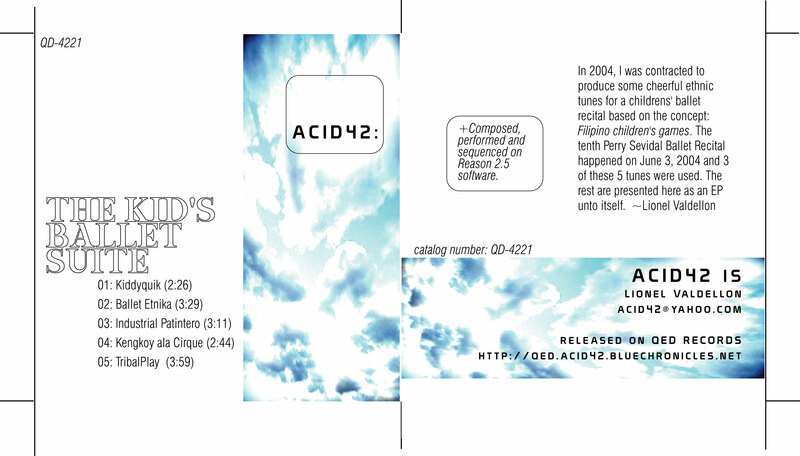 The entire 5 song suite is presented here as an EP. FILE UNDER: children, joyful synthpop, ethnotronica, kid-safe and fun-tastic like milk-based breakfast cereals, or betelnut chew. love ur ballet music suite, going to try n down load it but never done that before! !